As the temperature starts to rise, so does our intolerance for clothing that’s too warm. And, while many men are all too happy to throw on cargo shorts and flip-flops as soon as possible, some of us like to keep the well-dressed aesthetic all year long. One aspect of dressing well is being comfortable in one’s clothing. Topcoats look great in the dead of winter but, not matter how much he may like the aesthetic, a well-dressed man is not going to sport one in the summer. There needs to be a complementary relationship between form and function. So, rather than just throwing on any jacket that has words like “linen” or “cotton” on the label, it’s in a man’s best interest to learn all of the details that create a summer suit, and use them accordingly. While many will argue that the key attribute of a summer suit or sportcoat is the weight and type of material used, I argue that the interior construction plays a more important role. This isn’t necessarily dependent on the difference between fusing and canvassing, but how much lining the jacket has. Think about it this way. The industry standard for jacket linings is Bemberg Rayon. It’s a synthetic material similar to polyester. And, just like polyester, its breathability is next to nothing. Wearing a linen or seersucker suit with a full lining is going to be just as hot and uncomfortable as an all-season alternative. It may look more seasonal to observers, but the man wearing it is going to regret doing so. Thankfully a full lining is not the only option in a jacket. For those who want to have their suit or sport coat specific to summer and aren’t afraid of the extra cost, an unlined jacket is the best option. 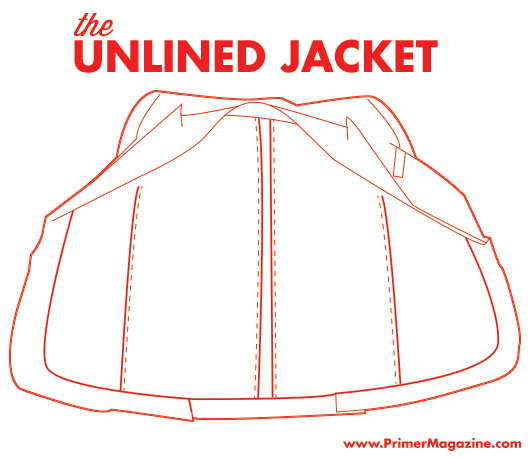 Unlined jackets are exactly what they sound like. There is no interior lining and the inner workings of the jacket are “exposed.” I use the scare quotes because they may not be protected by a liner, but they’re still not visible once the jacket is on a man’s body. An unlined jacket increases breathability and comfort, regardless of the material used to create the suit. Even something like an all-season wool can become a summer staple once it’s built without a lining. The disadvantage is an increase in cost. Contrary to the assumption that less material should mean a decrease in price, an unlined jacket costs more (when done correctly) because it requires more effort and precision on the part of the suit maker. When the plumber and electrician are constructing their individual systems in a new building, their only concern is how functional the pipes and wires are. These men know their systems will be hidden by the drywall, paint, art, and so on. Because their only concern is function, they can sacrifice all form to fit their needs. The same is true with a suit jacket. When it’s fully lined, no one cares how ugly, overlapped, or unsightly the stitching is, because no one sees it. However, once that is all exposed, it becomes much more important that all stitches are done evenly and in a way that looks clean and consistent. For those who want a jacket that can wear earlier in the spring and longer into autumn, a half-lined jacket may be a better choice than one that is unlined. It still leaves the mid and lower back exposed, increasing breathability in key areas, but covers up the shoulders, upper back, and the sides. A half-lined jacket is also great for men who are worried about sweating through the armholes as it provides more protection to the exterior cloth than an unlined jacket. While the jacket’s lining may be the strongest factor, the weight and type of the cloth used is about as close of a second as one can expect. The obvious extremes of tweeds, flannels, and heavier cashmeres are going to be uncomfortable in the heat of summer, regardless of how little lining is used. When looking to buy or build a summer-weight suit, there are certain materials that are specific to the season, and others that are woven in a way that makes them ideal for summer. The lightest and most summer-specific material. The advantages are its light weight, great breathability, and its tendency to wrinkle (if one is looking for a casual jacket). It’s disadvantages are its fragility and its tendency to wrinkle (if one is looking for a business or formal suit). A material that can be used in all seasons depending on its weight and weaves. Its most commons summer association is seersucker. Typically associated with the blue-on-white stripe seen by Southern gentlemen for centuries, seersucker is actually a type of cotton weave, not a pattern. It is typified by the little puckers and dimples created in the weaving process. These allow pockets of air to be created, increasing the airflow, making the material wear cooler. A weight at which the wool is woven making it more accommodating for summer’s heat and humidity. 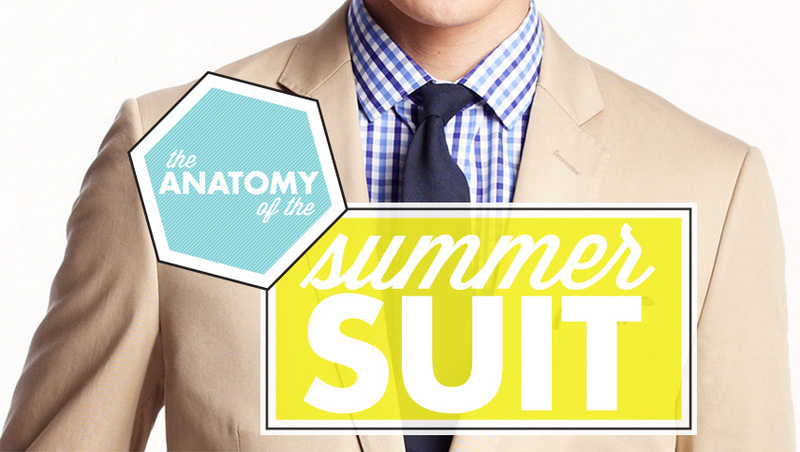 7-9 oz or 210 – 270 grams is the ideal weight for summer-specific suits and jackets. These can feel as light and airy as linen but will be more wrinkle resistant. If a man goes from one air-conditioned environment to the next, the color of his suits and jackets should be something that is aesthetically appropriate for the setting in which he finds himself. However, if he spends even a modest amount of time outside and in direct sunlight, he’s better off choosing a lighter shade. Just like we learned in middle-school science classes, the color of a given object will be more prone to absorb or reflect the rays of the sun. Darker shades absorb more, making them retain more heat and wear hotter. Lighter shades reflect more and help keep the man wearing them cool. The final variable to consider in a summer suit is its overall appearance. Many people take the casual precedent established with less structure and more wrinkle-prone materials and run with it. Bolder patterns, louder colors, softer shoulders, and other variables are all much more prevalent during the summer months than throughout the rest of the year. The key to pulling any of these more casual variations off is to use them appropriately. An unstructured, unlined suit, with a massive green-on-blue windowpane is going to look much better at a Sunday brunch than a shareholders meeting or job interview. 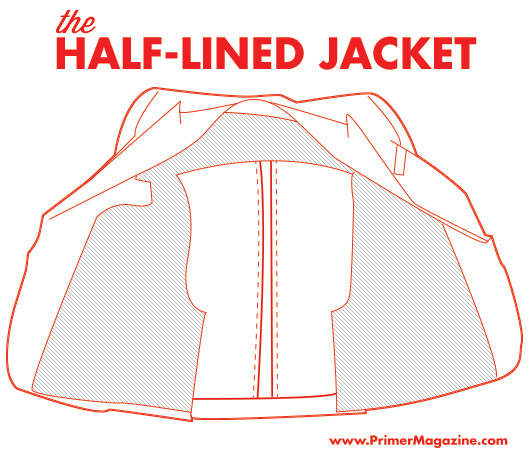 Interesting point on the extra cost of an unlined jacket. Never crossed my mind. Also, Spring/Summer suit jackets that are half lined tend to have lining within the sleeves for the benefit of being able to slide in/out of the jacket smoothly. Right, I had a cheap unlined cotton blazer without sleeve lining, and it was a PITA to get on. I definitely agree on the part about lining. Before I knew better I bought cotton & linen jackets with lining thinking I could wear them in the summer. I still wear them in the early days of spring though. Being in Florida they might actually work for the mild winter we have here. I’ve been thinking about getting a tailor to remove some of the lining from the jackets so they will breathe easier. https://www.shoppersfeed.com/monique-lhuillier-bridesmaid-wedding with minimum budget. Do anyone have idea what is the best place in New York City.